Pauling was born on February 28, 1901, in Portland, Oregon. He developed an interest in chemistry as a child, and in high school he conducted simple experiments with materials obtained from an abandoned metallurgy plant near his home. He received his doctorate from the California Institute of Technology (CIT) in 1925. During the following two years, he visited the laboratories of scientists working in the new field of quantum mechanics. In 1927 Pauling began teaching and conducting research at CIT. He used X­ray diffraction and electron diffraction techniques to determine the molecular structure of scores of organic and inorganic compounds. In the 1930s, Pauling used the principles of quantum mechanics to develop three aspects of theoretical chemistry: hybridization, bond character, and resonance theory. These theories concern the behavior of electrons and the energy involved in chemical bonding. This work led to Pauling’s most famous book, The Nature of the Chemical Bond (1939), and also to the 1954 Nobel Prize for Chemistry. Pauling’s work in late 1930s revolved around the structure of biological molecules. He found that the hemoglobin molecule changes shape when it acquires or unloads an oxygen atom. He further determined that hemoglobin’s molecular structure involves a helix. In the 1940s, he discovered that a change in a single amino acid within the hemoglobin molecule is the cause of the debilitating disease sickle cell anemia. 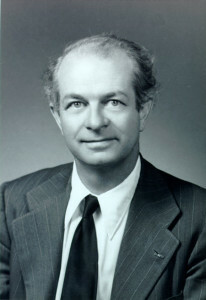 In the 1950s Pauling became actively involved in efforts to promote peace and end the atmospheric testing of nuclear weapons. He spoke and wrote unflaggingly about the threat of nuclear armament to world peace and the dangers of nuclear fallout, authoring the 1958 book, No More War! Pauling’s activism earned him the 1963 Nobel Peace Prize. In the late 1960s Pauling began a crusade promoting the use of vitamin C for treating ailments ranging from the common cold to cancer. His claims of the efficacy of vitamin C in combating illness caused debates and controversy, which continue to the present. From 1964 through 1973, he held positions at several research and teaching institutions. Pauling died on August 19, 1994, near Big Sur, California. Pauling’s extensive contributions to chemistry and his concern for the welfare of human society made him one of the most prominent and influential scientists of the twentieth century. Pauling solved pressing problems in theoretical structural chemistry. His work formed the basis for further research into chemical bonding, electron orbitals, and atomic nuclear structure. His book, The Nature of the Chemical Bond, has been and still is used in college coursework and has directed many paths of chemistry research. Pauling’s achievements in biochemistry represented significant progress in the fields of molecular biology and medicine. His discovery that hemoglobin changes shape when interacting with oxygen molecules was a key step in understanding how hemoglobin functions in the body. Similar structural changes in other biological compounds have provided clues to unknown physiological processes. When Pauling identified a helix in the hemoglobin molecule, he revolutionized protein research. The helix was subsequently found to be one of the basic structures of proteins, and it surfaced again in 1953 as the long ­sought structure of deoxyribonucleic add (DNA). With his vitamin C postulate, Pauling helped found orthomolecular medicine, a field of study based on the premise that extraordinarily large doses of minerals and vitamins can be used to prevent and treat diseases. In 1973 Pauling co­founded the Institute of Orthomolecular Medicine; it was later renamed the Linus Pauling Institute of Science and Medicine and is located in Palo Alto, California. The efficacy of orthomolecular medicine is debatable; research studies have not provided support for Pauling’s assumptions. Posted on March 10, 2015 by Natalie. This entry was posted in Scientists. Bookmark the permalink.